Try our free English lessons today! We also recommend private English courses in Munich with English language teaching specialists. You can learn English faster, develop your communication skills and get valuable feedback. 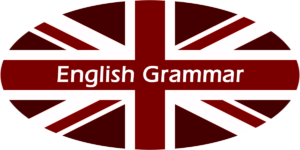 Our free English grammar lessons explain how to use the grammar, provide examples and English quizzes with practice questions. Tip: When you study English grammar, to create your own sentences as well. This makes it easier to understand and remember. Our free English vocabulary lessons provide different vocabulary lists, gives examples and English quizzes with practice questions. Tip: Many students love to study English grammar, but it's just as important to develop your English vocabulary too! Our free English communication lessons explain different communication tasks, provides example and English quizzes with practice questions. Tip: It's always helpful to learn phrases and expressions to communicate in different situations and contexts (e.g. telling the time, small talk at business events). Our free English pronunciation lessons explain different areas of English pronunciation, provides examples and English quizzes with practice questions. Tip: You can develop your English fluency faster through speaking practice and feedback by taking English courses with qualified English trainers. You can also try our free online English level test and learn English online with our targets for each English level of proficiency. Our English test includes questions for all the CEFR English levels from A1 (Beginner) to C2 (Proficiency).